Developer Christian "Codebeast" Nwamba partners with Microsoft Senior Developer, Sarah Drasner and Cloud Developer Advocate, Brian Holt to bring Concatenate, a free Developer Conference to Nigeria. 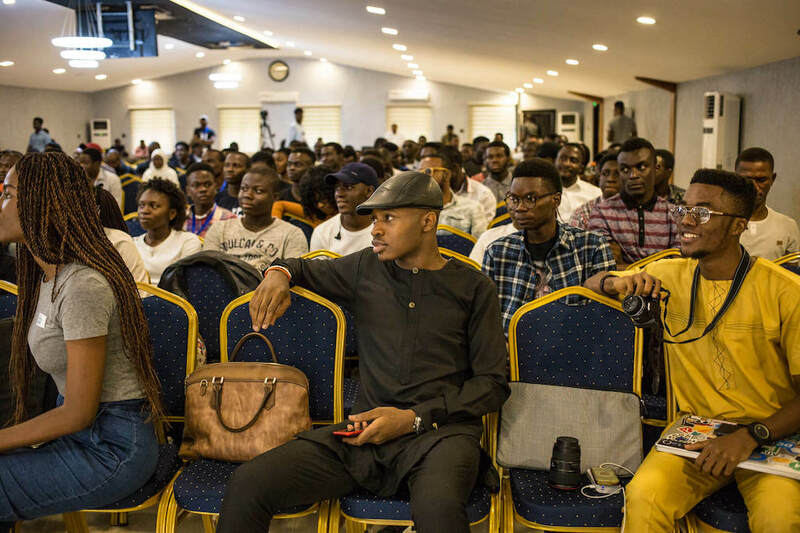 Last month, I wrote extensively about the fate of many Nigerian developers looking to expand their network and knowledge by attending conferences, typically situated outside the county. Codebeast's sorry experience was the case-in-point. As part of the conversation, Brian and Sarah offered to help amongst all the other sympathisers - many of which were employees of Microsoft. 💯 I'd happily write a letter of endorsement. We should get him to speak at a Microsoft event. I'm also happy to write a letter! We can get more, too. I believe this conversation is what has now spiralled into an international developer conference hosted in Codebeast's host country, Nigeria. Also, I reached out to a few developers to get their pulse on how the promise of such a global event makes them feel. "Lot of folks putting in the work and moving us forward"
He has a point there. For a while, Nigeria has been regarded as the haven of online scams. So bad that the popular advance-fee scam is named after the country, Nigerian Prince scam. So, for the likes of Abiodun, getting the world to recognise us for something other than scam is a step in the right direction. Concatenate conference is a two-day developer conference event spotting topics on frameworks, design systems, performance and animation. The event will feature world-class speakers around the globe. Albeit, due to constraints, some of the speakers will be participating remotely. This first edition will be anchored by no other than, Prosper Otemuyiwa, one of the biggest developers out of Nigeria. There are 23 speakers from around the world including Ire Aderinokun, Sean Thomas Larkin and Wesbos. Other perks of attending the events include; free stickers, books and online subscriptions from the likes of Cloudinary, Scotch school, and ABookApart. Visit concatenate.io to learn more. Long-awaited antitrust suit over Google's mobile operating system's dominance (80%) - Android comes with a $5billion fine. Since May, Whatsapp group has seen a lot of improvements. Of the many powers given to group admins include an ability to prevent members from sending messages. Group creators and Admins like Yemi Johnson, are making good use of it in keeping their platforms sanitised.